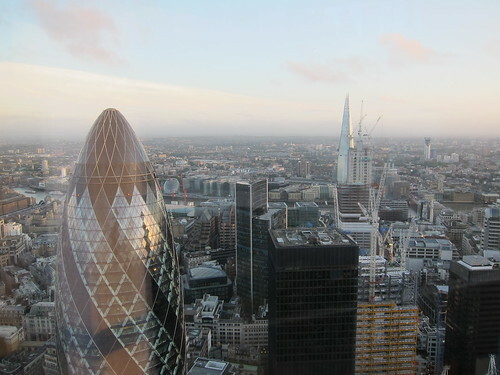 So one of the most covered openings in the blogosphere over the last 6 months has to be Duck & Waffle, a restaurant located on the 40th floor of the Heron Tower in Bishopsgate, and subsequently, contender for most awesome view in London while you eat. So much has been written about this already (like here, here, here and here just to name a few) that I will keep this very brief. 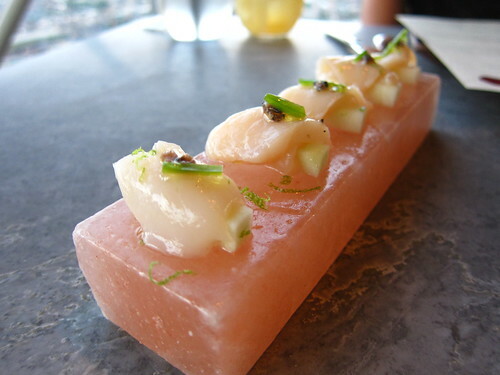 The food on offer is essentially "British Fusion", British ingredients and inspiration in most part, with ingredients and ideas from the rest of the world. For the most part, the food is really decent. With most dishes based around sharing (small plates etc...), we managed to order a decent amount amongst the four of us. 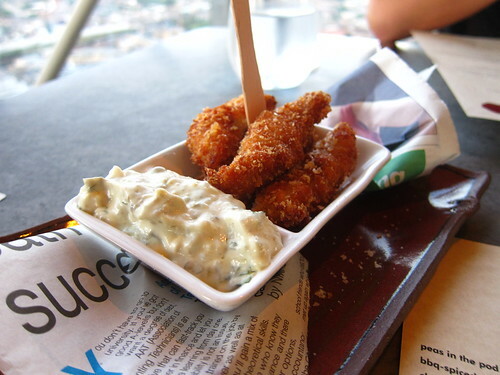 Snacks of crispy pigs ears and battered cods tongues get the party started, and scallop with apple to follow acts as the most decadent palate cleanser. I enjoyed some of other small plates like the smoked haddock scotch eggs and the nduja clams, but others like the tuna sashimi and the bacon wrapped dates did little for me sadly. 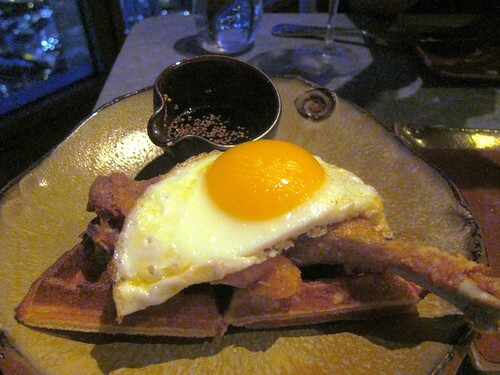 However, one thing not be missed is the dish that the restaurant is named after, the Duck and Waffle. A seemingly strange combination, but I am a big admirer of sweet and salty combos and this dish combines both those tastes with an excellent confit duck sat on a soft waffle, and topped with a fried duck egg. The best bit, however, is the little pot of mustard maple syrup which has to be dumped all over the dish for maximum effect. Duck and Waffle is one of those places which manages to back up it's outstanding view over London with good food. Drinks are City prices (for that read pricy) which is a understandable if not disappointing, but one major advantage is that it now operates 24 hours of the day. 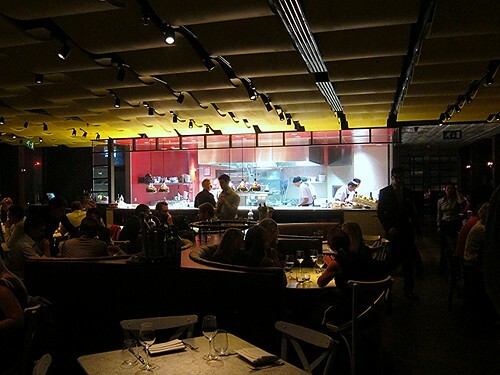 I like it and will definitely be back, be it on a hot date (fat chance) or with mates (much more likely). p.s. For full disclosure, the chef sent us over a few free dishes. How we knew we were there, no idea, but the sentiment was appreciated. i would really like to test this 24hour theory but I would be so steaming drunk by 3am they probably wouldn't let me in the lift. Need to get down there, and you're only compounding my hunger. Like how you've set out your site, too. Sometimes it does just come down to money!